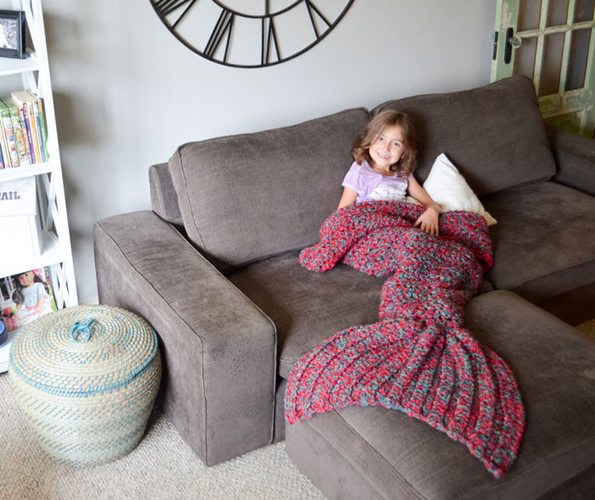 Here’s something new to add to your wishlist: a custom crocheted mermaid blanket. 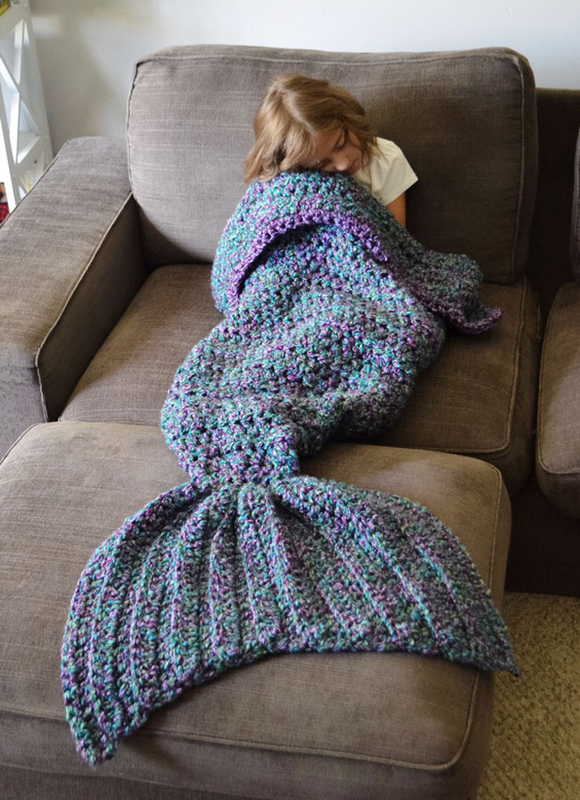 It makes you look like you’ve got a mermaid tail! 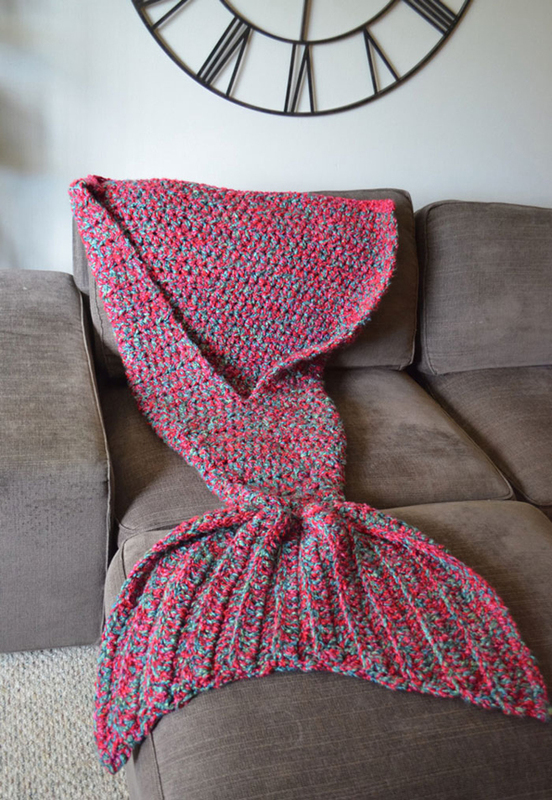 A mermaid tail made out of yarn. Which doesn’t seem particularly conducive to swimming in the ocean, but for us land dwelling folks, it makes sense. 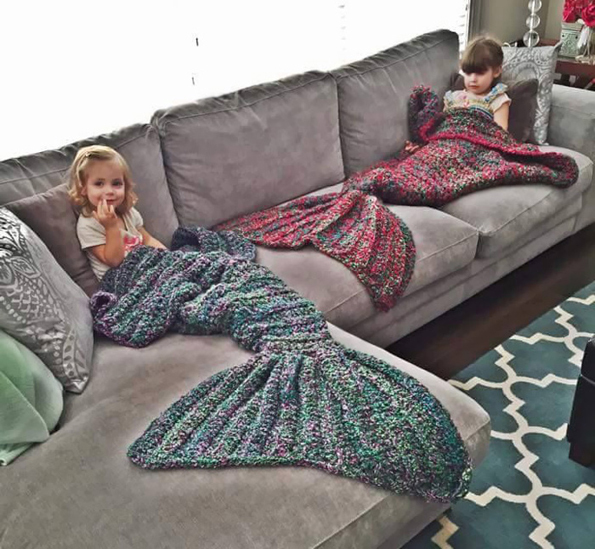 Head over to Etsy shop CassJamesDesigns to custom order the size and colors of your choosing. 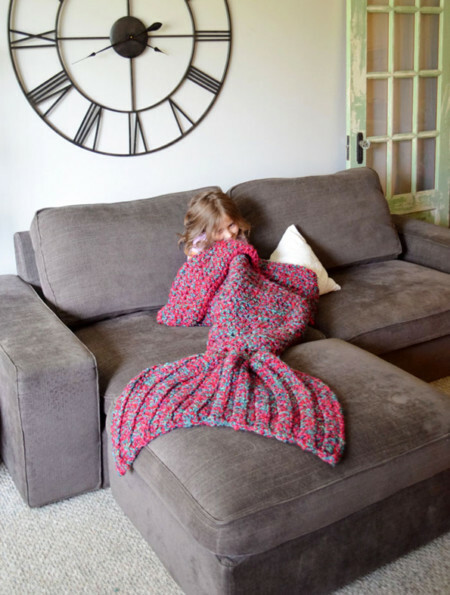 Seashell bra not included.